Replacing the front door can be a hard decision to make. How much will it cost? What style to get? Which colours match my home? How long will it last? 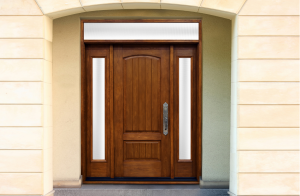 We are here to help guide you in your decision in replacing the front door to your home. First you will have to choose what your door will be made of. The choice of material will effect its level of appearance, durability and security. 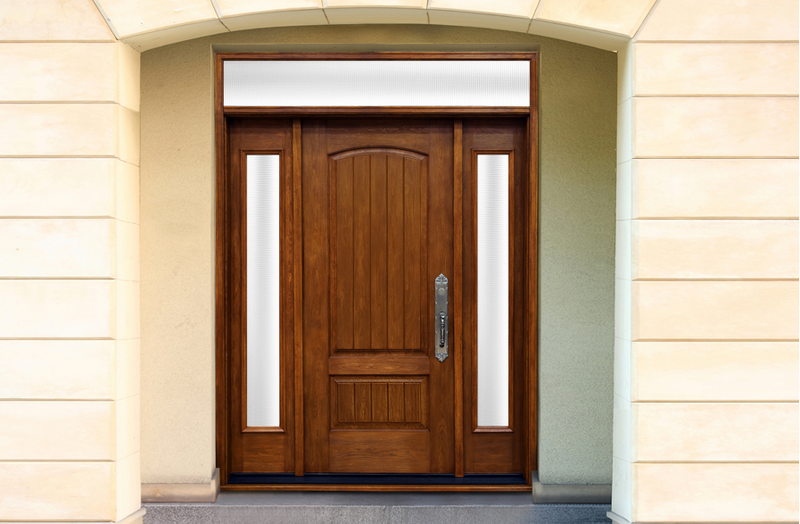 Wood is one of the most common materials for exterior doors. Some solid wood doors are oak, fir, pine, cherry, walnut, mahogany and maple. Wood doors are beautiful and solid, but you’ll most likely need to paint or polyurethane every couple of years. Fiberglass are known to be resistant to warping and bowing while it maintains the look of wood. 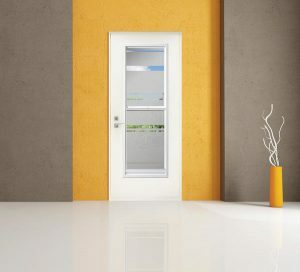 This door is more maintenance free than many other door types. Steel can come with panels or flushed and are available in a variety of colors. They are known to be strong against damage however they aren’t any stronger than solid wood or fiberglass. They shouldn’t be used on the side of a house where prolonged exposure to hot sun can heat the door as it can bow and crack the paint. When you have decided on the material you want, it is time to choose which colour will match the rest of your home. Don’t be afraid to go bold with the entry door as it places a statement on the home and can make it jump out from other homes on the block. When it comes to brick homes, it’s difficult to exact a drastic refashioning of the exterior color scheme. To make the entryway feel finished, carry your color choice into everything including the outdoor rug and flower pot and even a welcome on the mailbox. When in doubt, traditional colours are a good guide to selecting a front door that endures and offers curb appeal. If the exterior of your home is painted or stained a darker color, consider a lighter door for a pop of brightness. For neutral-theme exteriors, play with bright and light hues to supply visual variety. 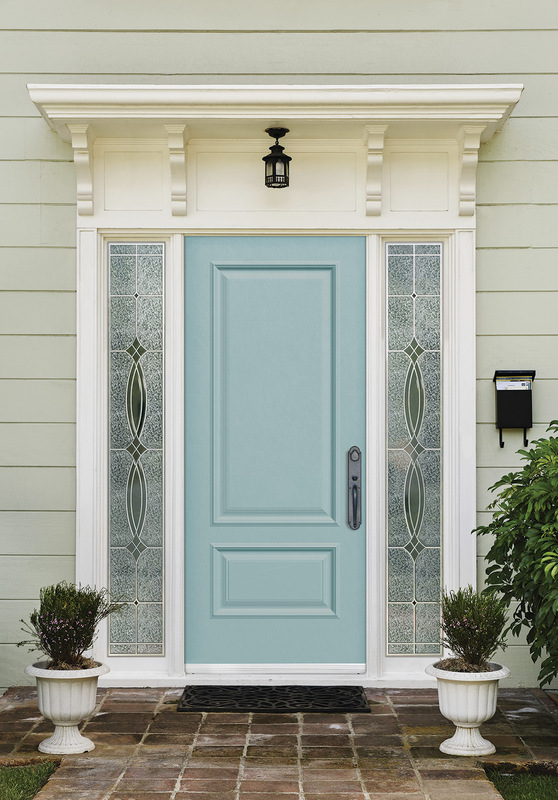 Although symmetry is a good tool for choosing an exterior door, it isn’t the only design principle in your toolbox. For homes that are less about centuries-old proportions and more about a contemporary expression of shape and form, an unbalanced—although no less pleasing—exterior door choice is a good solution. 1st Choice Home Solutions offers free estimates for your doors. We are also able to match your current siding, windows and roof! Contact us for a free quote and recommendation.